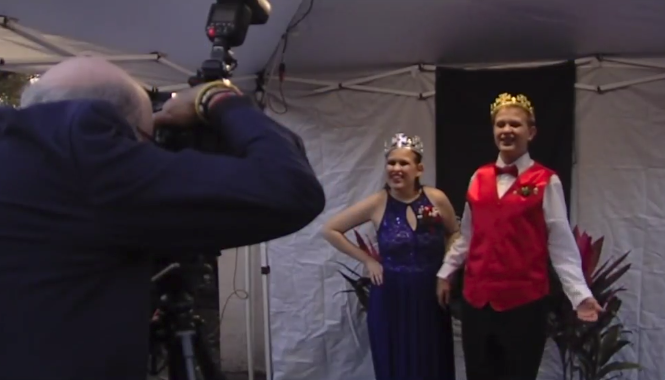 The Tim Tebow Foundation hosted its Night to Shine for people with special needs. The event took place Friday evening at the Genesis Community Church in Fort Pierce. Those in attendance got to walk the red carpet, pose for the paparazzi, dance and get crowned. FORT PIERCE, Fla. — The Tim Tebow Foundation hosted its Night to Shine for people with special needs. The event took place Friday evening at the Genesis Community Church in Fort Pierce. Those in attendance got to walk the red carpet, pose for the paparazzi, dance and get crowned. A dozen local sheriff's deputies also volunteered as buddies at the prom. "They just kind of walk with them, mentor with them, dance with them, go on car rides, eat with them. It sort of gives the parents a little bit of a break…They'll tell you they look forward to this all year long. Most of them at the end of tonight are wondering how long until next year and we get to do this again, said St. Lucie County Sheriff's Office Captain Brian Hester. The foundation hosts dozens of events around the world.